Just like when I set out to find cool places in Budapest, on my last trip to Latvia, I went on another quest to find some cool places in Riga. So when I wasn’t “out and about” snapping Riga photos, I was ducking into cafés to sip on flat whites and into hipster bars to drink my weight in Latvian craft beer. My time there was way too short and I didn’t make it to half of the cool places in Riga that I wanted to visit, but I did manage to hit up these trendy spots around the city. 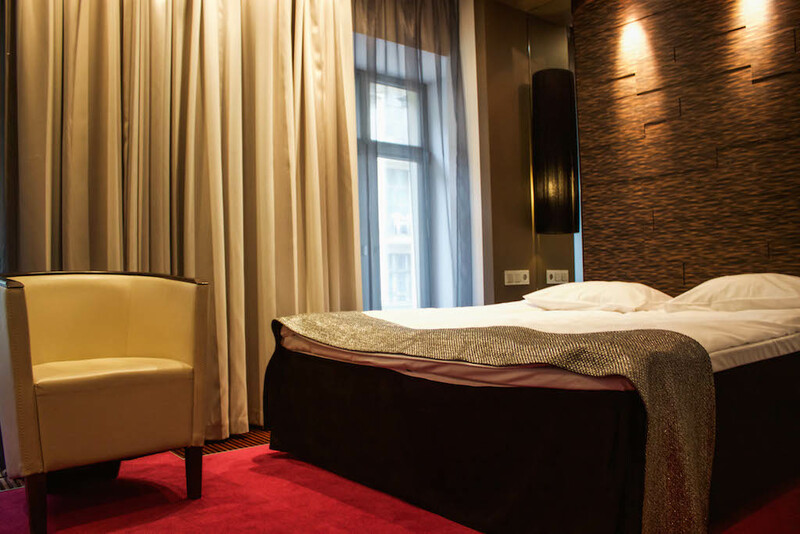 Tallink Hotel is just one of many cool places in Riga. 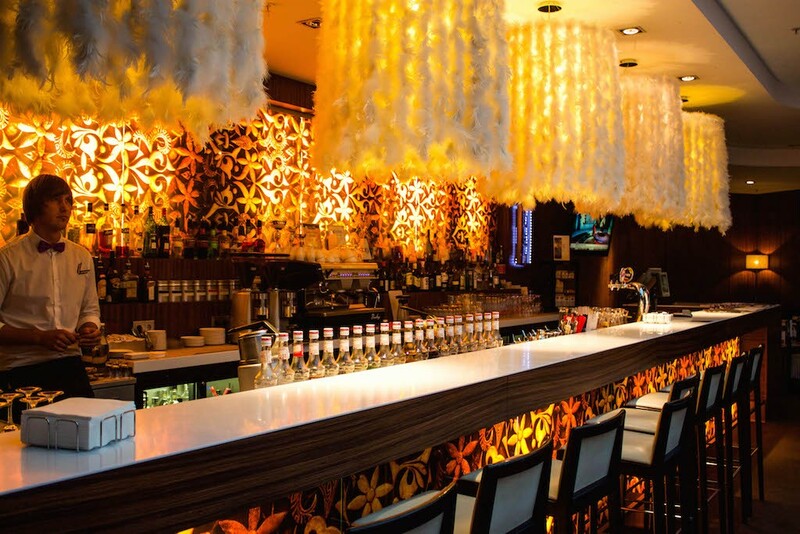 The four-star boutique hotel offers a funky modern design throughout its seven floors, starting with the furry white chandeliers that line the hotel’s lobby bar to the rooms’ bright yellow leather chairs. The minimalist vibe throughout the stylish location lends to a relaxing stay, as does the hotel’s sauna and hot tub. There’s free wifi throughout the hotel, a mini bar in each room, as well as free coffee and tea. You’ll also find English speaking television channels, like BBC World to catch up on the day’s news. Tip: Some weekend packages include free access to the sauna and hot tub facilities. 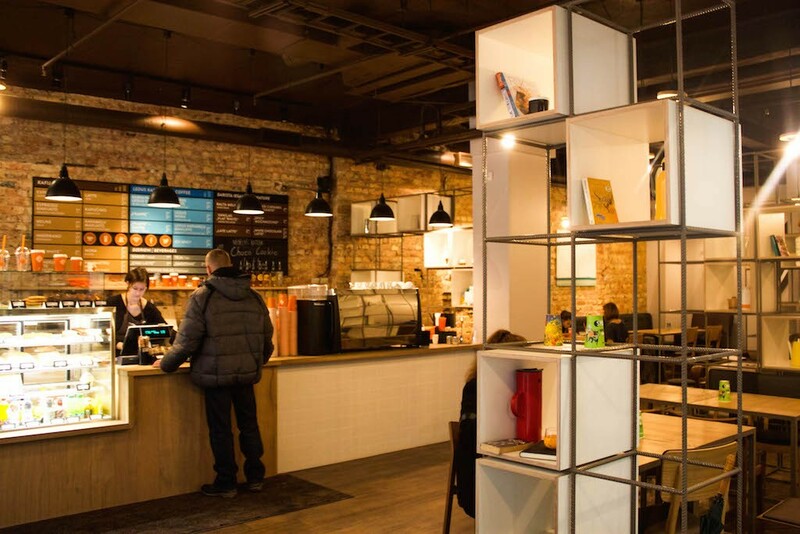 Coffee Inn has several locations throughout Riga and takes their coffee very seriously. All of their beans are freshly roasted by hand, at their own location in the Latvian countryside, near the Varene River. Always innovative, some of their signature coffees include the Silk Black, Aero Cappuccino, and Sparkling Coffee, which combines espresso and sparkling water. Some locations are nicer than others, and this spot on Brīvības iela was ideal for a break from the cold November weather. Tip: If you’re a flat white nerd like me, I highly recommend ordering one. 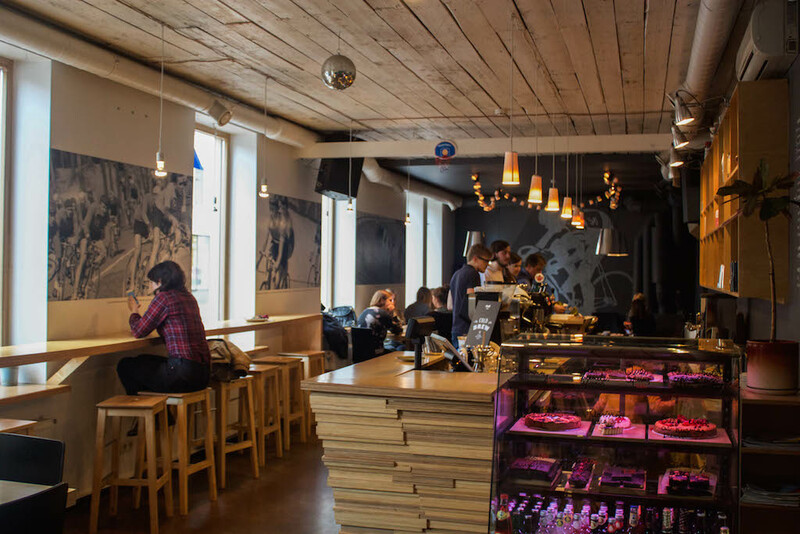 You’ll find DAD Cafe, whose name draws from the first initial of its three owners, along Riga’s world renowned hipster street, Miera iela. The candlelit space is homey and welcoming, with an eclectic mishmash of couches, tables, bookshelves, modern art, and even, a piano. Jazz tunes play softly in the background, while you do some work (there’s free wifi) or sit back and read a book. It’s an ideal location for brunch, a stop for an afternoon coffee and cake, or a light evening meal. The menu boasts pancakes, soups, homemade breads, and delicious cakes, like their chilean lemon cake. DAD Cafe also hosts regular exhibitions and live music every Thursday. Tip: Sadly, DAD Cafe is now closed and we’re leaving this entry here as a placeholder for now. If you can recommend any other cool places in Riga, drop us a comment below so we can add it to our list. 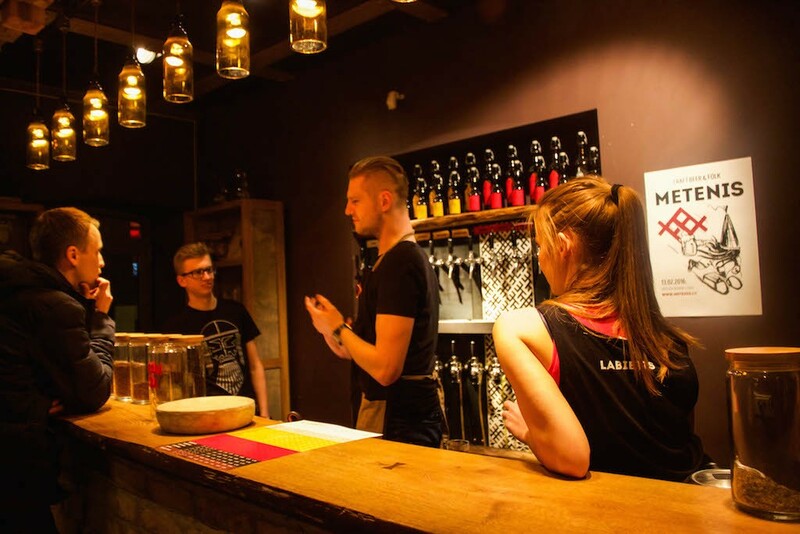 TAKA, also situated on Miera iela, is a chilled out bar known for their wide selection of Latvian craft beer and homemade apple wine. 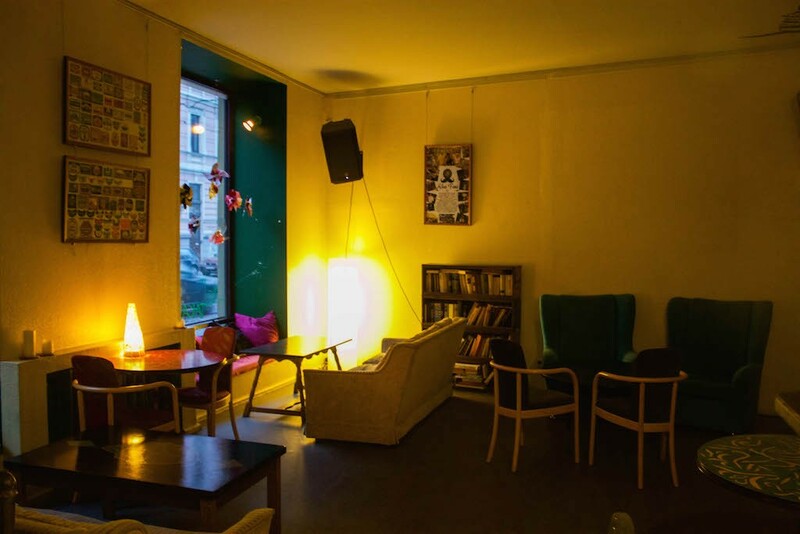 This is one of the coolest places in Riga, where locals come to work during the day (jump on their free wifi) and at night for reportedly wild costume parties and alternative music. The interior consists of homey old furniture and brightly coloured yellow walls. Tip: Ask the friendly bartenders to recommend one of their favourite local brews. If you’re looking for beer heaven, come to Labietis. This local brewery offers such a vast beer menu, it will leave your head spinning. 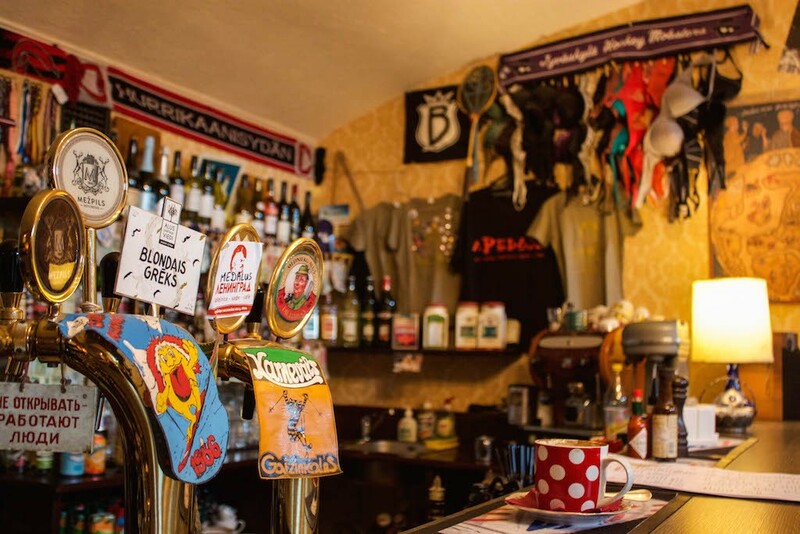 There’s no need to feel overwhelmed, as the bar staff will lead you through a tasting that will have you drunk before you’ve even ordered your first beer. 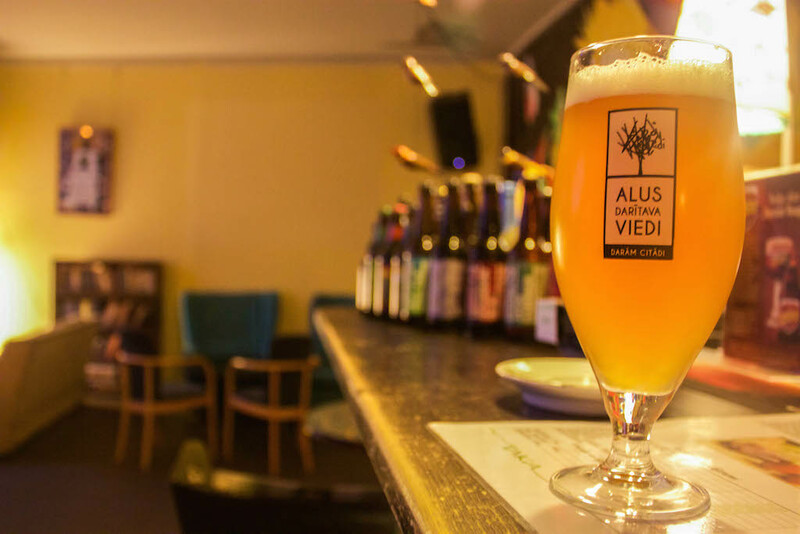 The craft beers on offer include American-style IPA’s and English bitters, enhanced with Latvian herbs and varying fruits. Tip: Do experience the tasting. The bartender will let you sample 6-8 different beers to help you figure out which one you like best. 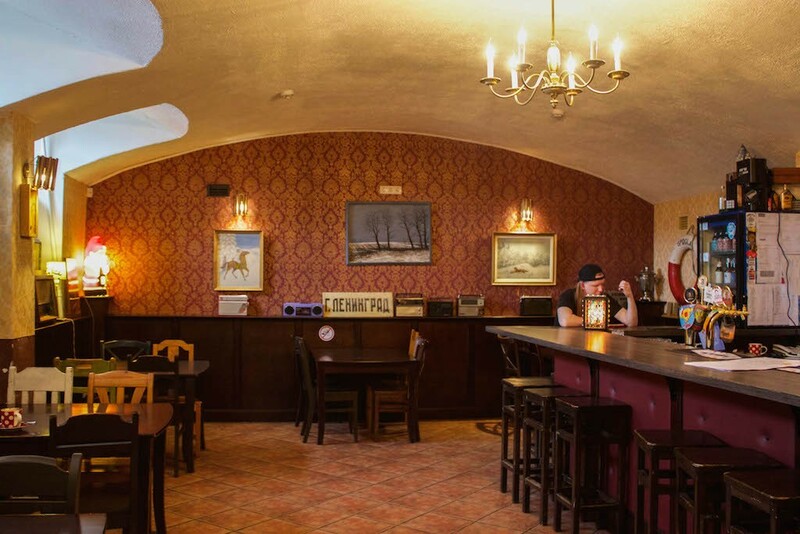 Cafe by day and bar by night, this Soviet themed spot is a throwback to the Communist times. 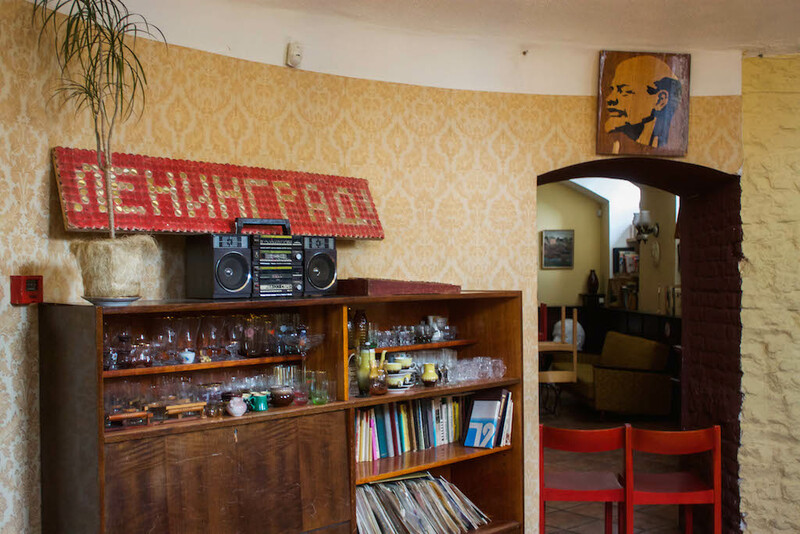 Cafe Leningrad’s interior is decorated like an old-school apartment, complete with dated furniture, boom box, and all sorts memorabilia on the wall including pictures of Lenin and a strange collection of bras! Bookshelves are stuffed full of Soviet literature. The venue hosts live music events and is popular with locals on the weekends. 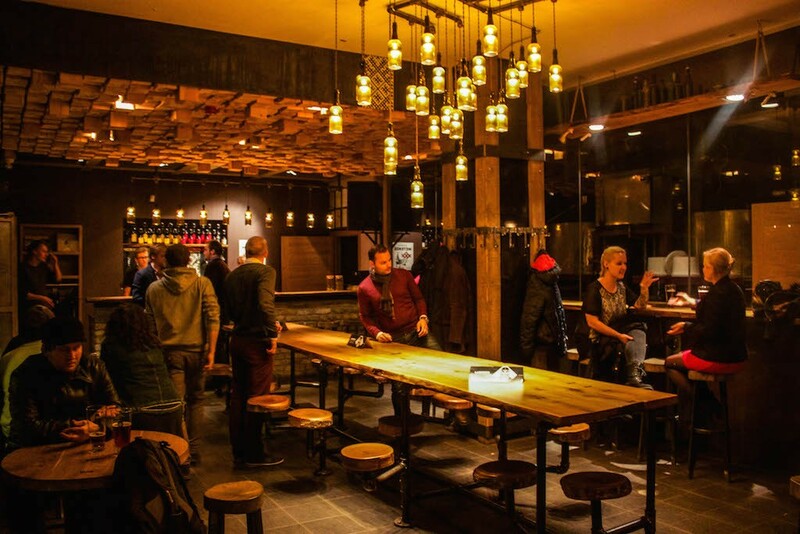 Another one of the cool places in Riga? MiiT. What started out as a bicycle shop that served drinks, is now a lovely vegetarian cafe that serves up a mean coffee. It’s open daily for breakfast, lunch, and dinner and has a menu that changes daily. 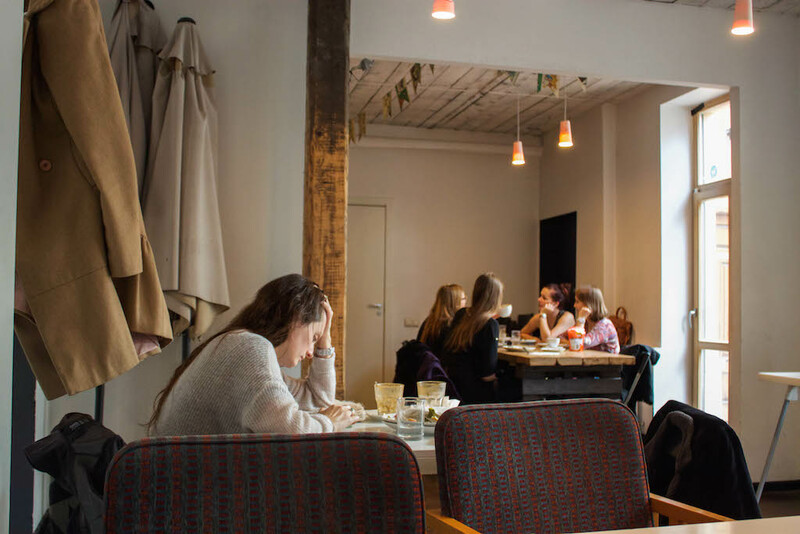 As with most cafes in Riga, wifi is free and is another great place to get work done while chowing down on healthy, vegetarian or vegan food. Tip: Stop by for their weekend pancake brunch. Totally yummy. 1) Riga is an easy weekend trip away from Berlin. You can book a cheap fare there through Ryanair, and the flight is just over an hour. 2) When you arrive at the airport, you can opt to go into the city by bus, airport shuttle, or taxi. I prefer the airport shuttle, as it’s only about €5 and will take you directly to your hotel. 3) Latvia uses the Euro, so there is no need to worry about exchanging currencies when you arrive at the airport. 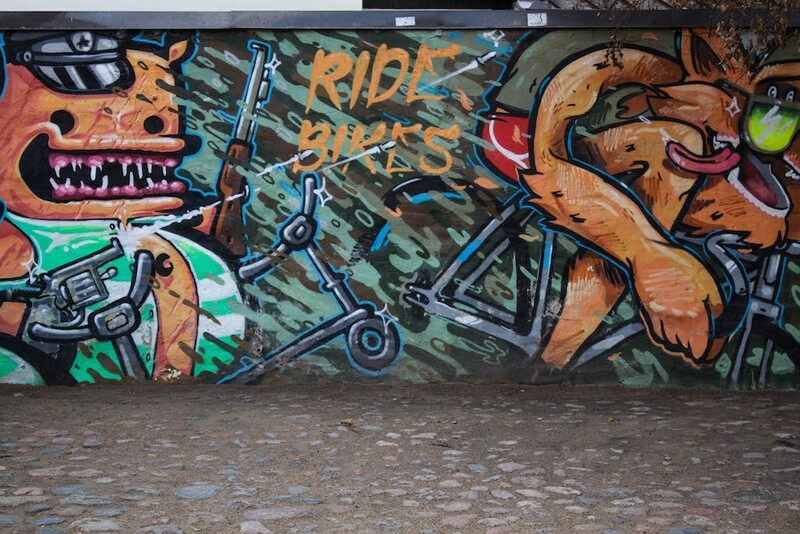 4) To get a feel for the city, check out my photo filled post about Riga. 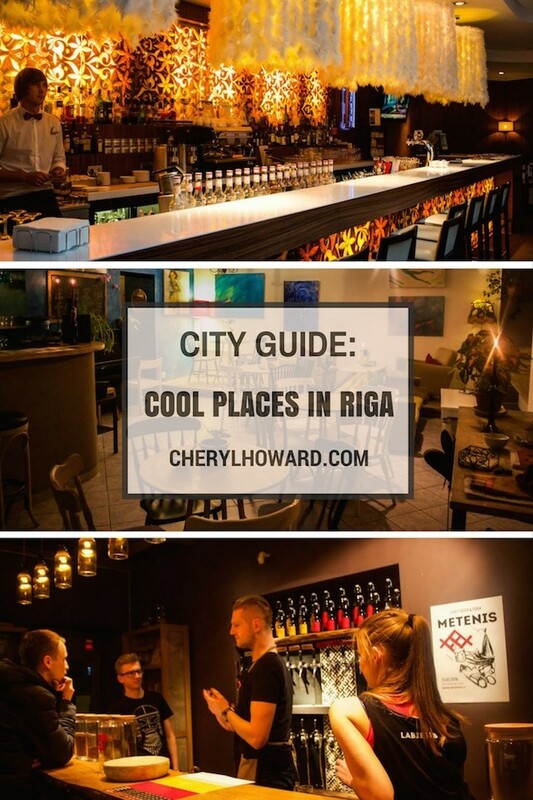 For even more inspiration, see In Your Pocket’s city guide to Riga. 5) If you’re travelling in the Baltics, consider these things to do in Tallinn. 6) Consider staying at the centrally located Tallink Hotel or an Airbnb apartment. Better yet, let me help and give you some Airbnb credit toward your next stay. What fantastic finds! Riga is on our list, hopefully we can make it there soon! It took me 3 visits but I finally loved Riga! I’ve been to 2 of these places (MiiT and DAD) and enjoyed them so much! Next time when I go there I will have to visit other places you recommend as they sound really great! Can’t believe I haven’t seen before how cool Riga is! 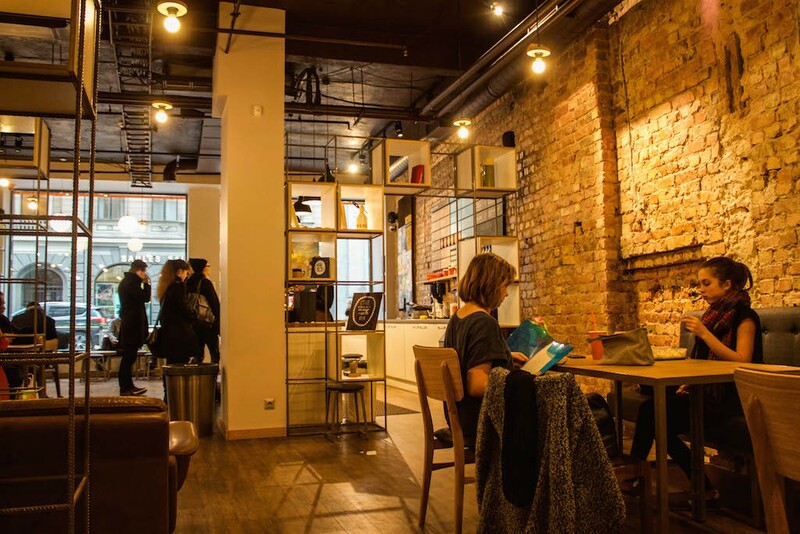 Riga is definitely on my bucket list…but knowing about these fab bars and cafes have bumped it up the list! Riga is a fun city, definitely worth checking out. So many cool places to see and such an interesting history as well. Awesome! No wonder you picked these really cool places. I like the fact you talked about a different side of Riga, rather than sticking to the touristic sites. Thanks Telma! I did hit up some touristy sites too, but mostly enjoyed the cafe and bar hopping.